Marquis By Waterford Phoenix VASE 11"
On Sale Now! Free Shipping Included! 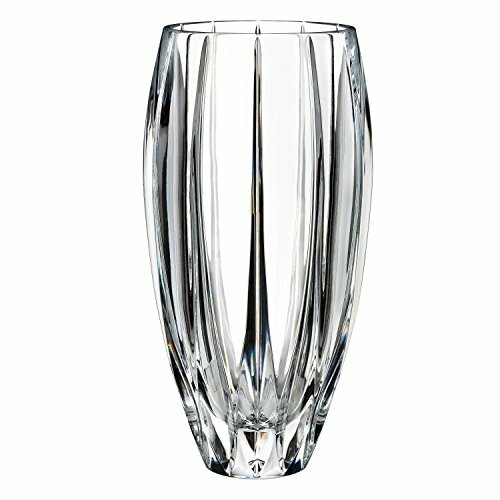 Save 6% on the Marquis By Waterford Phoenix VASE 11'' by Marquis By Waterford at My Athenas. MPN: 40021441. Hurry! Limited time offer. Offer valid only while supplies last. Marquis by Waterford combines versatility with value, using classic Waterford cuts to create crystal of astonishing clarity and substantial weight. Marquis by Waterford combines versatility with value, using classic Waterford cuts to create crystal of astonishing clarity and substantial weight. The Marquis by Waterford 11 inch Phoenix Vase is a sparkling piece of beautiful craftsmanship that will make a statement in any home. Perfect as a gift for yourself or for a loved one, the Marquis pattern is stylish and eye catching; displaying deep crystal cutting techniques and a smooth finish. This beautifully shaped bowl is a stylish combination of classic crystal glassware and modern design. The clean silhouette of the Phoenix Vase complements any décor and makes a beautiful statement when filled with a floral arrangement.